As both a teacher and Python programmer by trade, Naomi Ceder dedicates much of her time combining these two skills to help others learn the programming language. 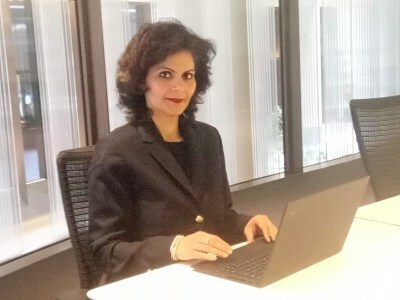 Ceder’s strong desire to grow the Python community is found in good measure in her role as chair of the Python Software Foundation (PSF) board of directors, where she leads the organisation’s efforts to promote, protect and advance the language. 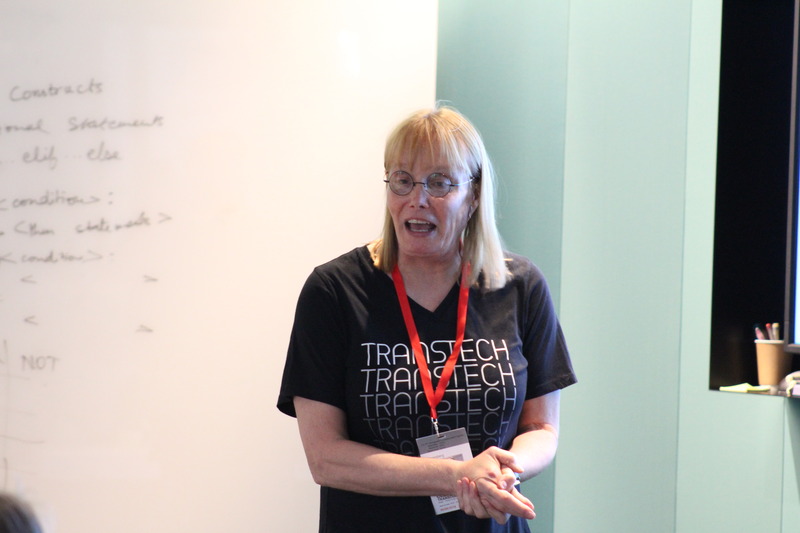 A trans woman, Ceder is heavily involved in diversity and inclusion discussions within the developer community. She also co-founded Trans*Code, the UK-based hack event series focused on drawing attention to transgender issues and opportunities. Last month, Ceder visited Bloomberg London to speak at PyLondinium 2018, a weekend-long conference for Python developers (watch her keynote and other talks from the conference below). 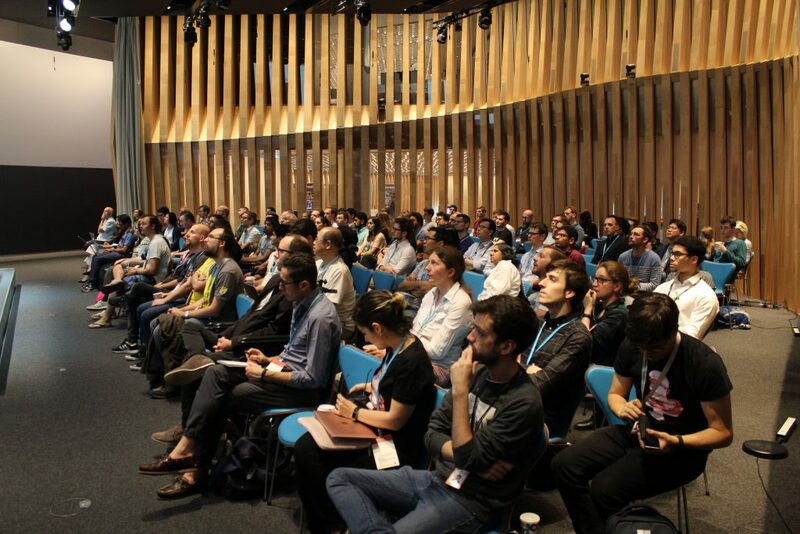 The conference also hosted Python sprints, a workshop for coding beginners, and Ceder’s own Trans*Code hackathon. We sat down with Naomi to get her thoughts on the event and much more. Q: This is the first time PyLondinium has been held. 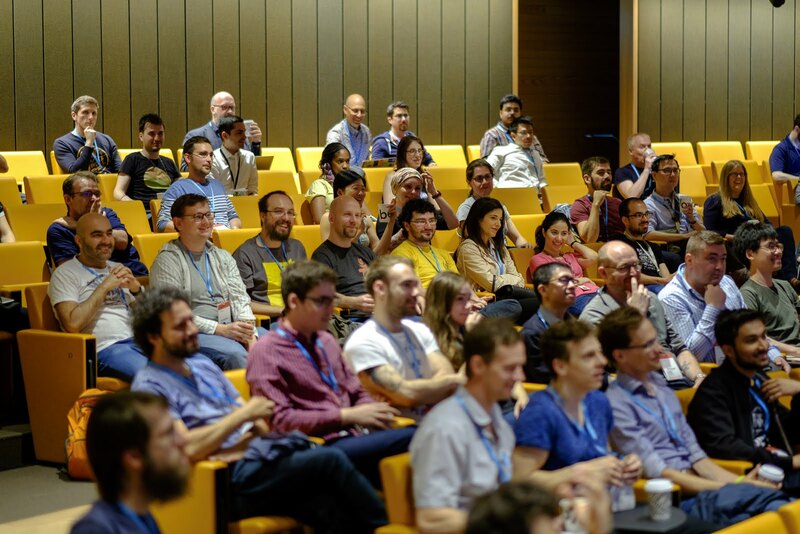 How important is an event like PyLondinium to the Python community? Very important. In London, there are so many people in the Python community. However, it is also very expensive to hold a major developer conference in London. Without support from organisations such as Bloomberg, ticket prices would quickly be out of reach of a lot of community members. Having attended PyLondinium myself, I can definitely say the event brought a lot of people together and gave the Python community a much-needed point of focus in a city with a sizeable population of developers. Q: What was your highlight from the PyLondinium weekend? Having previously worked in London for a couple of years, I simply enjoyed having the chance to return to the city. Aside from that, I always enjoy meeting people in the Python community – while I already know many, there are many more that I don’t. And I really enjoyed listening to the other keynote speakers at PyLondinium. There were some really interesting discussions and perspectives shared. The whole event was a real treat. Q: How do you see the developer community in London — especially those proficient in Python — as compared to other leading cities around the globe? I’m based in Chicago, so it’s hard for me to make a direct comparison. However, I can certainly say that London has a lot of great developers, and a very active and vibrant tech scene. It has really struck me how much this community has grown over the past two to three years. Specifically, there seems to be a lot of data science and machine learning expertise in London, with expertise gathering around small, embedded devices. Q: How has Bloomberg’s position within the broader developer community, and more specifically the Python community, evolved in recent years? I can only really speak about the Python community. Since Bloomberg adopted Python as one of its three main development languages, there has been a very clear shift in its involvement, which has been two-fold. As an organisation, Bloomberg has become increasingly visible as a supporter of Python, and Bloomberg’s developers have become more active as individuals contributors within the Python community. Personally, I’ve been working alongside Bloomberg on certain projects on-and-off for the past three years now. During that time, there’s been very strong growth of the Python community within Bloomberg. Q: As a leading figure within the PSF, why is it important for the Foundation to have strong relationships with companies like Bloomberg? And how important is it for software engineers who work for companies to contribute back to the community? Those two questions go very closely together. For the PSF to have the support of a company with the reach, resources and stature of Bloomberg is really very important. Support from a company with such global visibility – one that’s seen as a leader in its industry – enables us to do a lot more with our projects everywhere around the world. On the flip side, it’s obviously very important for us that developers are willing to contribute back to the community. But, for me, it’s even more important that they believe in what they’re doing themselves, and it’s not just coming from the top down. In the case of Bloomberg’s involvement with the PSF, a certain amount of this partnership has, in fact, been driven by the engineers themselves. Engineers at Bloomberg want to contribute to the community, and they want their employer to be involved too. The ideal situation is desire on both sides of the equation, and that’s what I’ve seen develop at Bloomberg. Q: How are Bloomberg’s engineers contributing to the Python community? The answer is in many ways. In one aspect, we are seeing Bloomberg engineers increasingly involving themselves in the actual development of the code. There are a lot of parts to a mature and complex codebase like Python, which means it often takes a while for people to get up to speed. With Bloomberg adopting Python only recently, my feeling is that we’re only just seeing this level of involvement beginning. The second means is by helping with the adoption and spread of Python within Bloomberg. 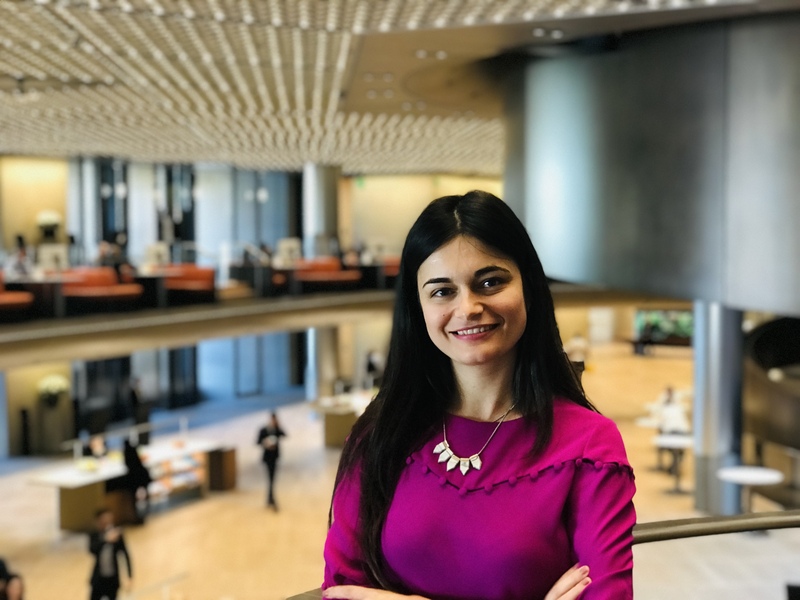 Many engineers at Bloomberg are interested in the Python community, and see the benefits of involving Bloomberg with their interest. This is a very powerful movement for Python to be at the centre of. The last is their involvement with the wider community. Volunteering at beginner’s workshops and hosting sprints – PyLondinium being the biggest and most recent example of both – are great ways to grow the community. For PyLondinium to have happened so quickly at Bloomberg following their adoption of the language, at this scale, is totally unprecedented in my experience. Q: Do you think companies that employ software engineers should be doing more to encourage people to learn coding? It might be a good idea if they want to stay in business. But seriously, I think everyone knows how hard it is to find skilled and talented developers. It’s a struggle for almost everyone — and this will only become more challenging. There isn’t a single right answer to solving the issue; otherwise, it wouldn’t exist. But we do have a lot of very talented people in the world who’ve never tried coding or thought it was for them. I think it’s in everyone’s best interest to encourage those people to give it a go. 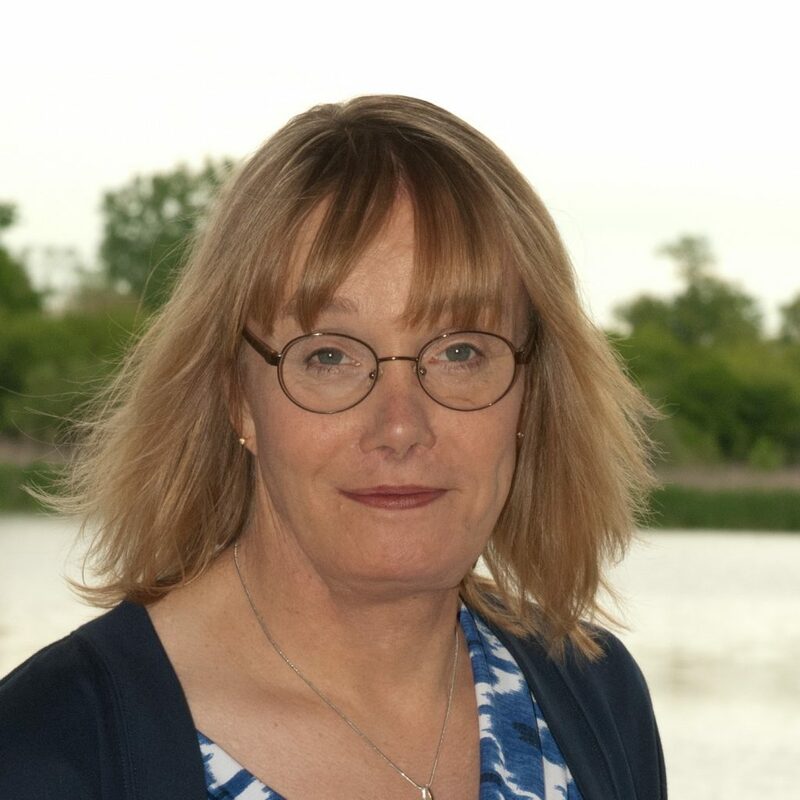 Q: How did you come to found Trans*Code, and what impact has it had so far? Not long before moving to London, I had been involved in similar hackathons in the U.S. When I moved in 2014, I thought it would be great to replicate those events in a new place and gave it a go. We held our first event in London in 2015. I believe we’ve held nine events since then; mostly in the UK, but also one in Zurich and one in Chicago. The core purpose of Trans*Code is really community building. It’s rare to be with a lot of other people who understand what it’s like to be trans. That creates a real sense of relief that you don’t have to be on guard. Often, we don’t concentrate on the problems faced by attendees. Instead, we just say “let’s hack on something to see if we can make it better.” Trans*Code’s focus creates a real positivity to the events, and I know of several people that gained the necessary boost from attending that gave them the confidence to start moving on with other aspects of their lives. 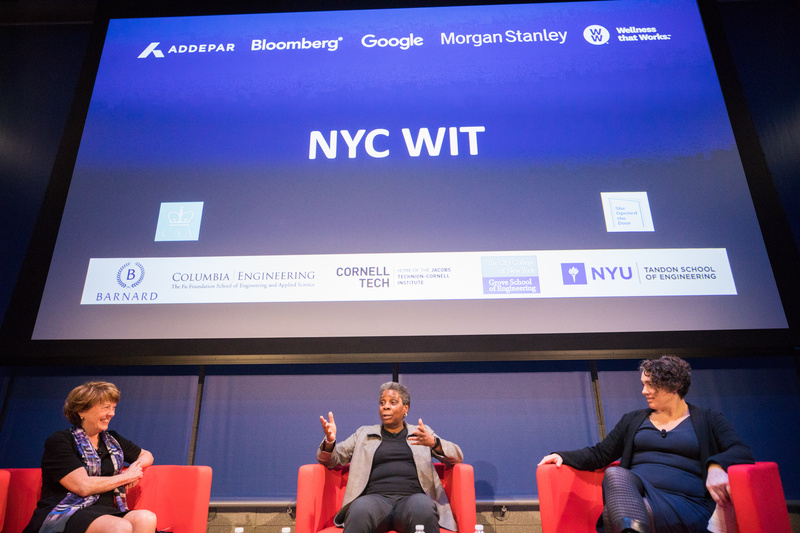 Q: How has diversity in tech progressed in recent years? What are the next big challenges to overcome? The answer to this really varies based on where you’re talking about. In the U.S. and Europe, I think the diversity movement has been active the longest and seen most of the change. In terms of gender, sexuality and gender identity, I think we’ve come a long way over the last five years, but there’s still a lot of areas we’ve barely moved the needle. When I talk about diversity at conferences, I ask people to think about who still isn’t in the room, instead of celebrating who is. Rather than saying there’s a specific group we need to include, we should be thinking more generally, and I think we’re starting to see that happen. Bloomberg will host an Open Source Weekend in New York and London on October 27-28, 2018. Look for more details soon by following @TechAtBloomberg on Twitter.